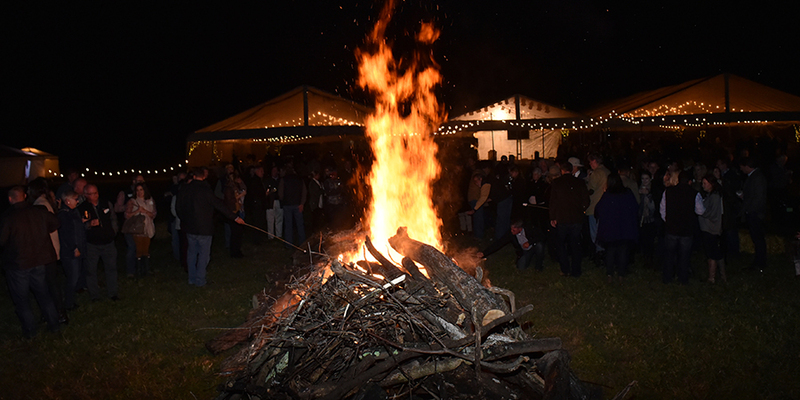 On Saturday, October 27, about 600 friends and family members of The Land Trust gathered under the moon and stars at Glen Leven Farm for our 18th annual Once in a Blue Moon, our largest fundraising celebration of the year. Thanks to our generous presenting partners, outstanding Chair-Moons, Susan Burns and Jackie Daniel, event committee, our corporate tables and all of our guests, the night was a great celebration of the people and places of Tennessee and more than 123,000 acres of land conserved. Special thanks to Mayor David Briley for speaking with us during our Luminary Reception about the importance of open space in Nashville and also to landowner Todd Jennings who shared his family’s story of conservation before dinner began. Thanks also to Boy Named Banjo for singing with us as we roasted s’mores by the fire and to Peyton Hoge for photographing the evening. Our work to conserve Tennessee’s unique and historic landscapes is donor-funded and is not possible without your support. We look forward to seeing you again next year.